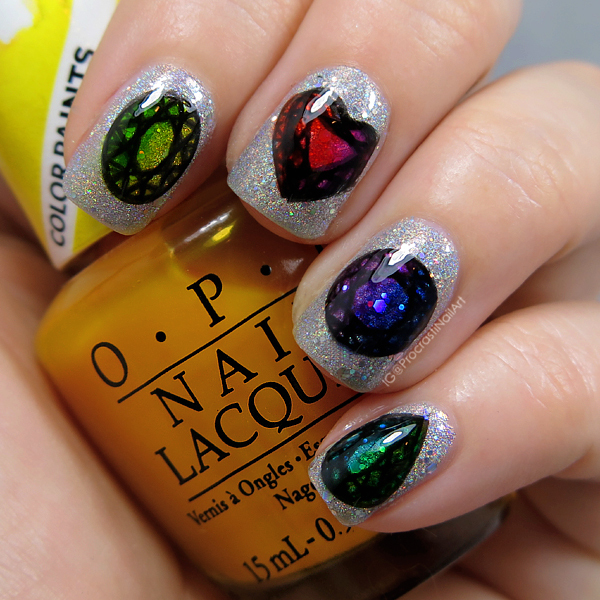 Who doesn't love rainbow jewels on their nails?! Over holo no less! I started this mani off with a polish that is woefully underused in my collection: ORLY Mirrorball! To add a little bit of extra glitter I also brushed on a single coat of Finger Paints Colorful Collage which is a larger holo hex glitter in a clear base. 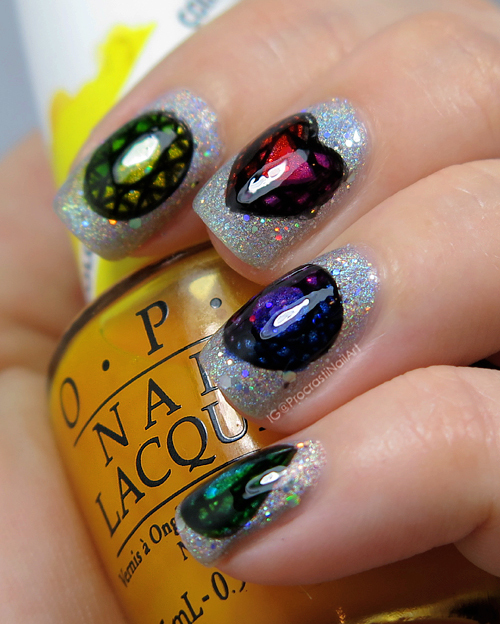 :) Holo-tastic! When that was dry I stamped on my jewels with Sinful Colors Black on Black and 春の歌-02 Plate from Born Pretty Store* (which I also used for this mani). When that dried a bit to make sure it didn't smear, I did some leadlighting gradients with a small brush and my OPI Color Paints (swatched here ages ago) and then did another layer of stamping to darken the black lines. 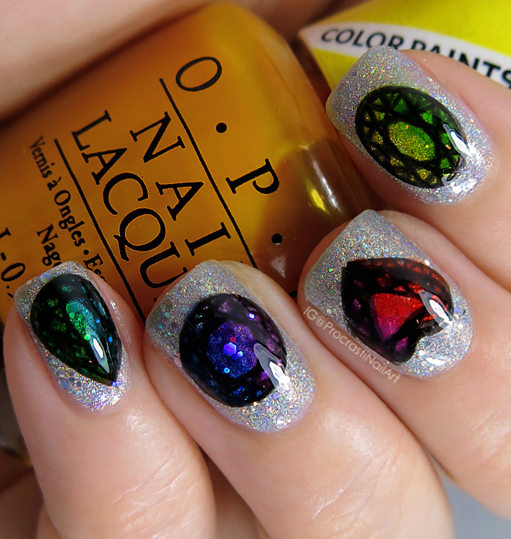 No doubt - this is a fabulous mani! <3 I love it! This is so cool! What a great mani to do lead lighting in. I think my favorite one is the pinky- something about the shape and the gorgeous deep green color! Yay for Mirrorball! I absolutely adore this mani! I love it and you're making me wish I had Mirrorball!